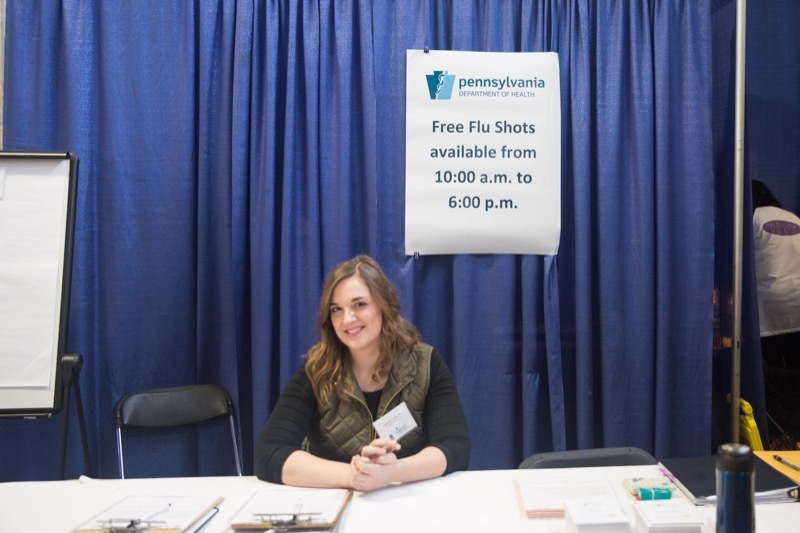 As in other states across the nation, providing access to quality health care for Pennsylvanians residing in rural communities has become increasingly challenging. 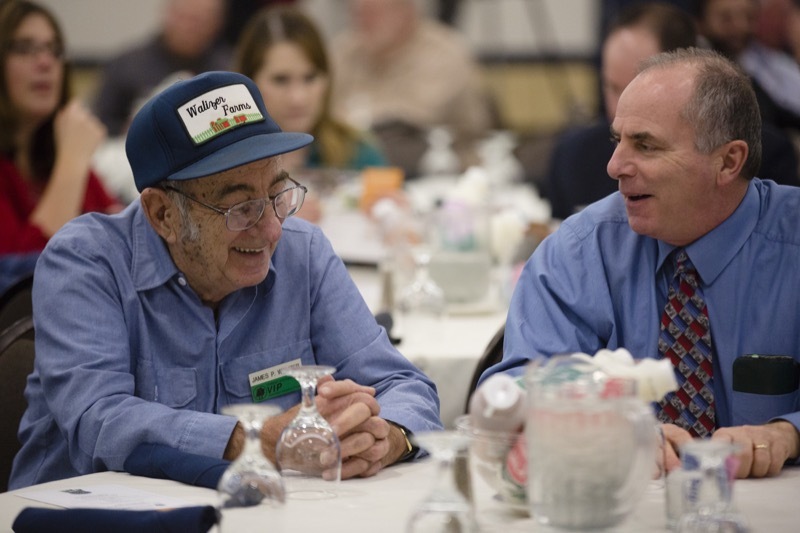 Since 1990, health outcomes in rural communities across America have deteriorated. 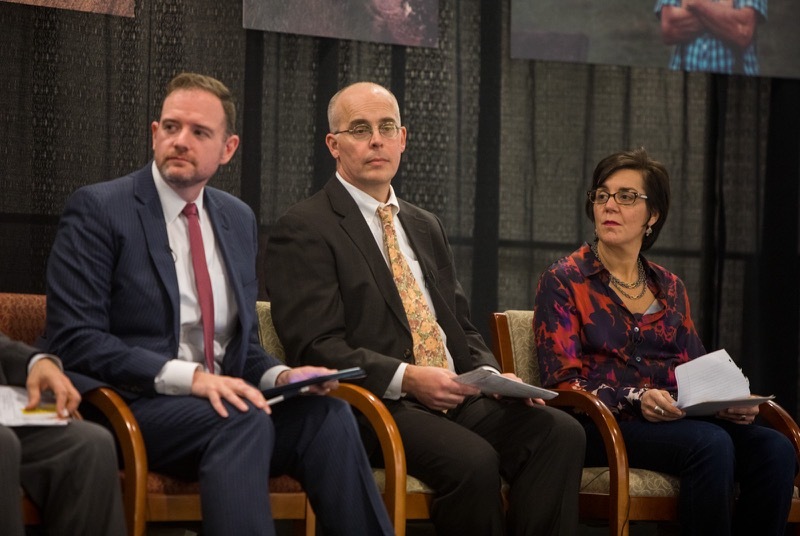 While people living in urban areas have seen better health outcomes and an improved access to care, those in rural areas face much starker health challenges. 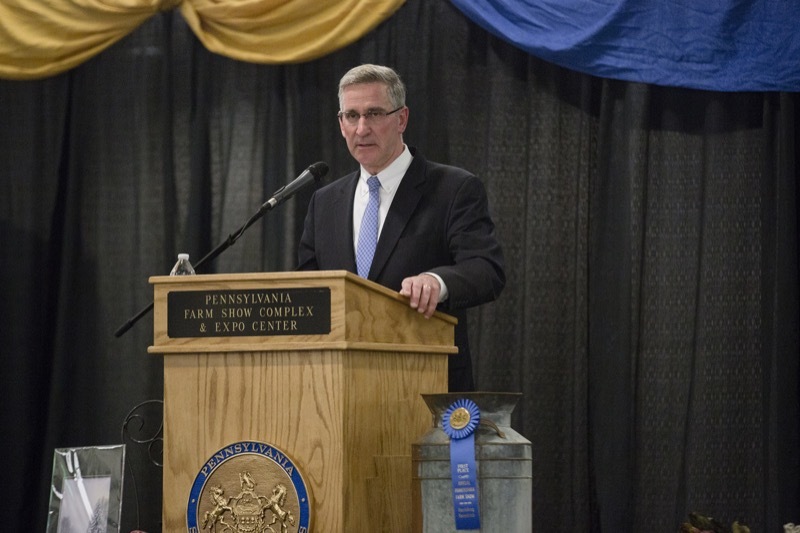 Public Officials Day at the PA Farm Show. 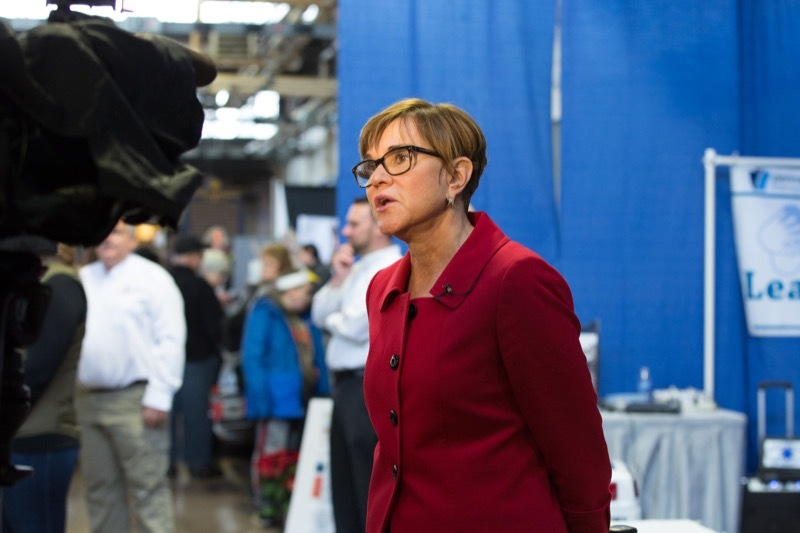 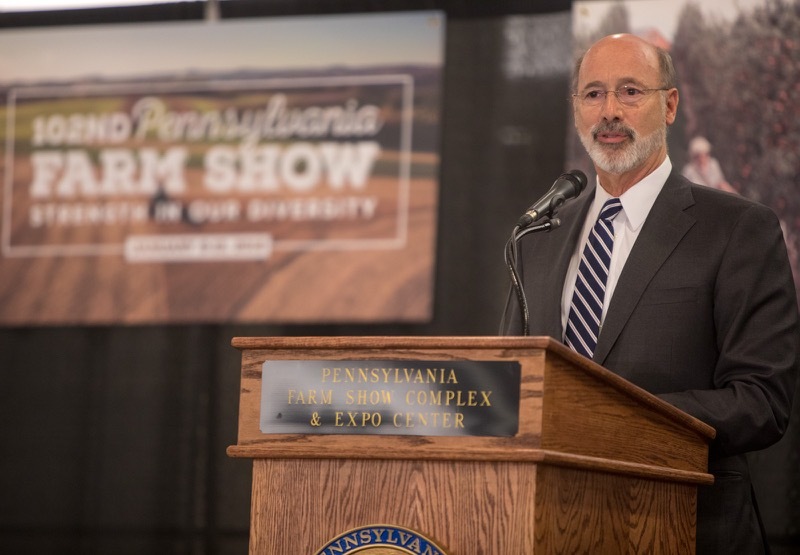 Speaking to more than 500 state and local officials at the Pennsylvania Farm Show today, Governor Tom Wolf made one point clear: agriculture is an incredibly vital industry to the state's economy that policymakers and industry must work collaboratively to strengthen and grow. 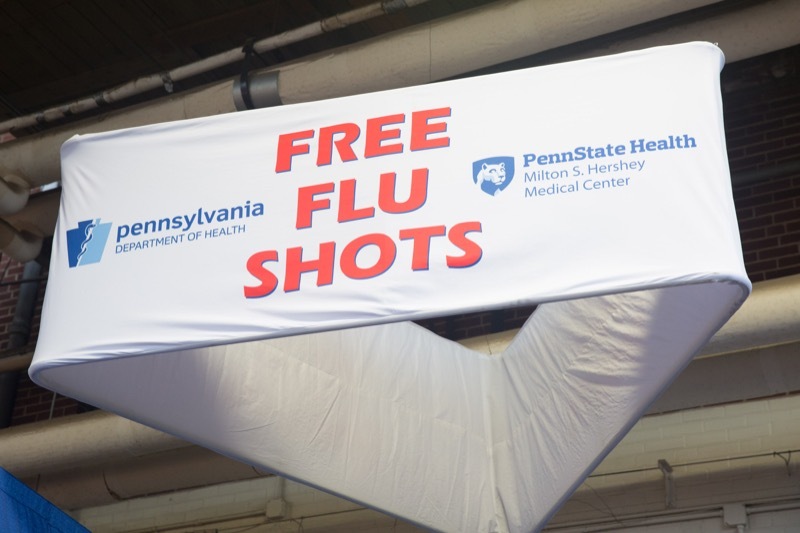 The Department of Health is offering free flu shots all week at its booth at the 101st Pennsylvania Farm Show. 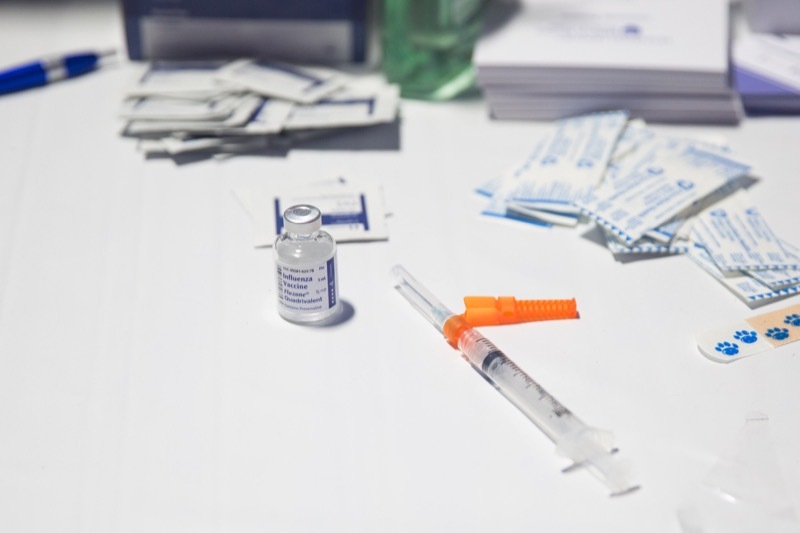 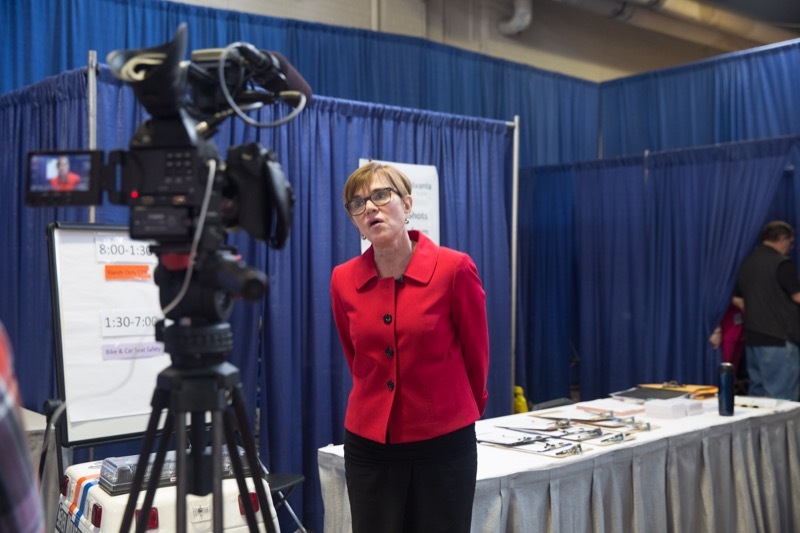 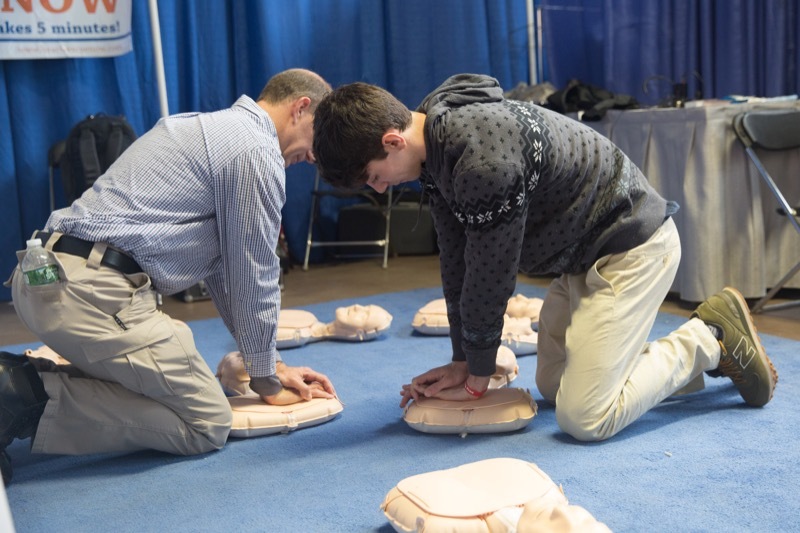 The booth will also offer information on how everyone can acquire and administer naloxone, a life-saving opioid overdose reversal drug, perform hands-only CPR, as well as several other interactive displays throughout the week. 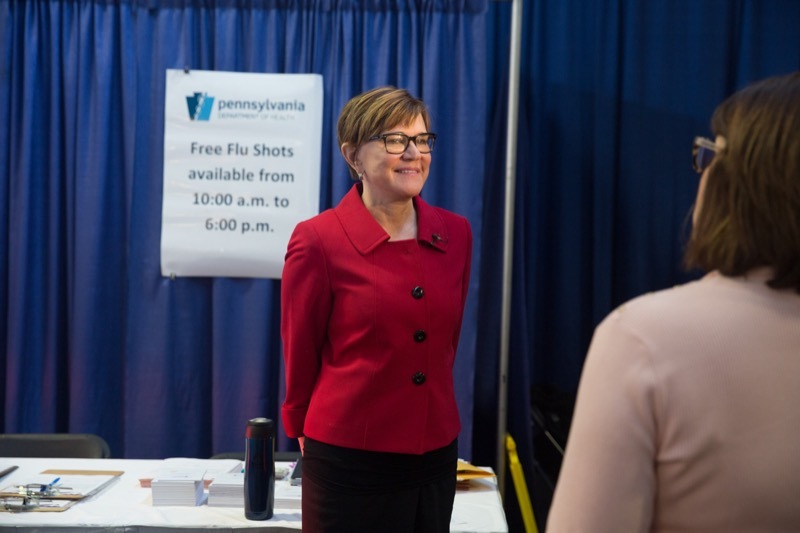 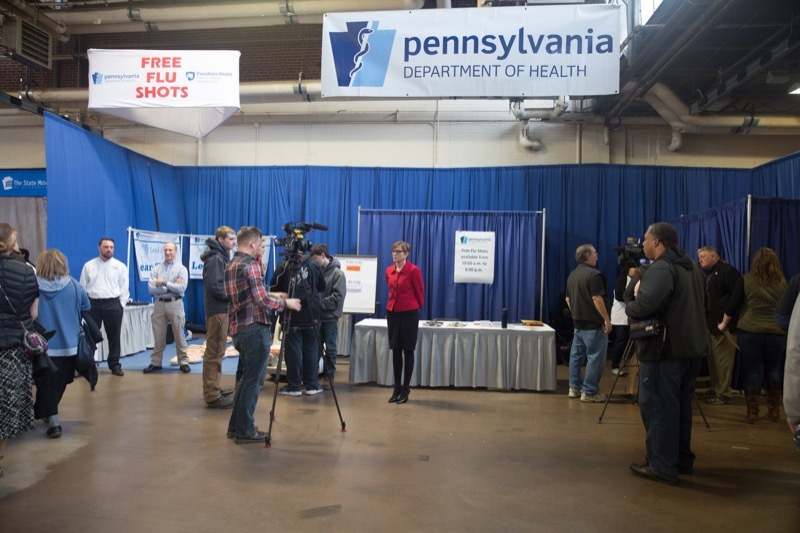 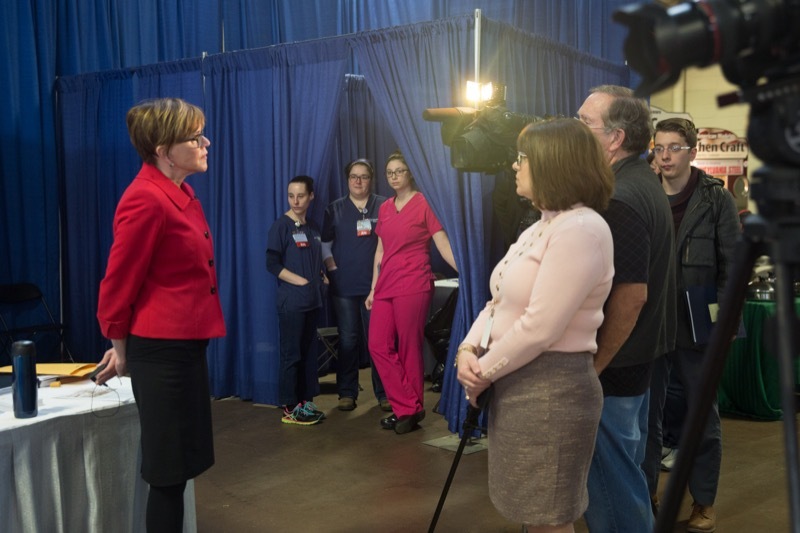 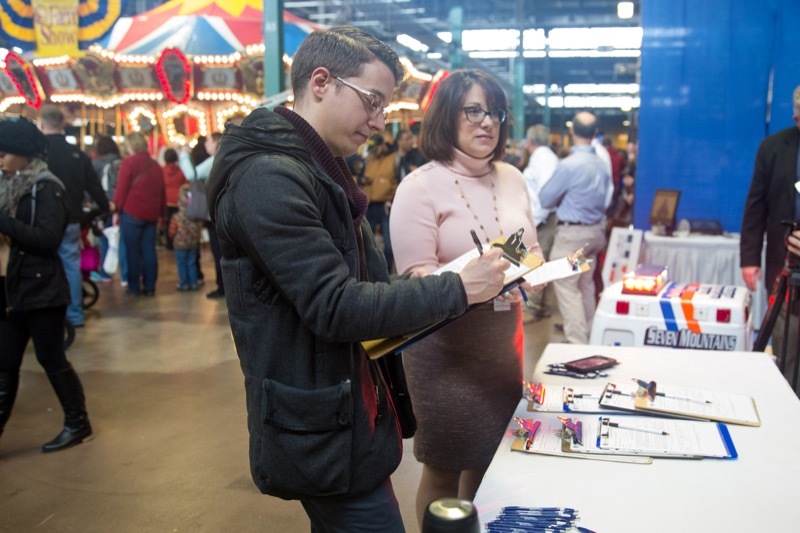 Harrisburg, PA - The Department of Health is offering free flu shots all week at its booth at the 101st Pennsylvania Farm Show. 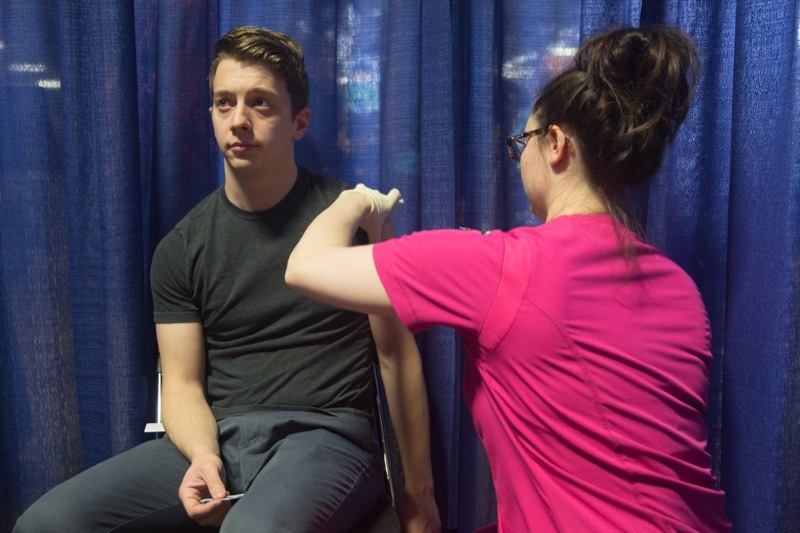 The booth will also offer information on how everyone can acquire and administer naloxone, a life-saving opioid overdose reversal drug, perform hands-only CPR, as well as several other interactive displays throughout the week. 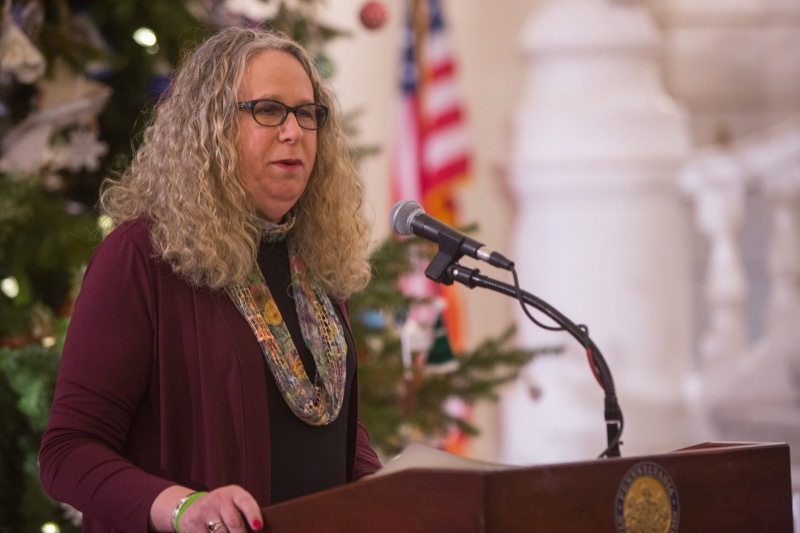 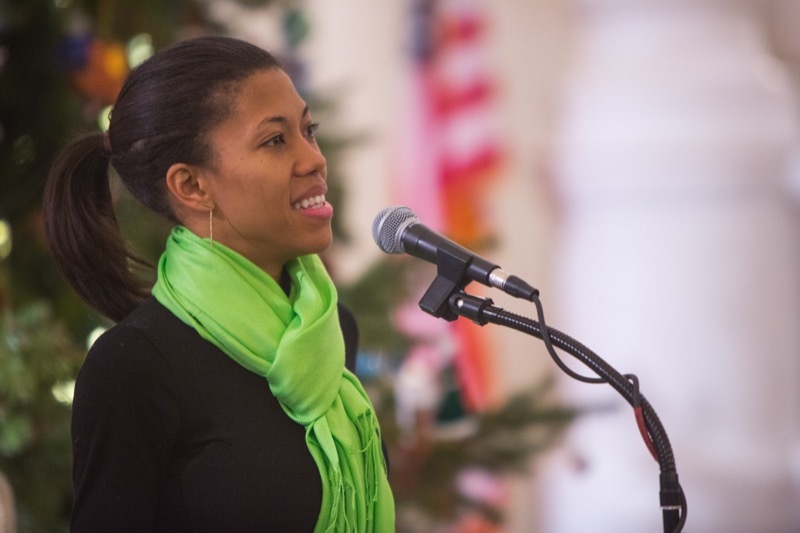 Today, Physician General Dr. Rachel Levine and Deputy Secretary for Health Promotion and Disease Prevention Dr. Loren Robinson will join local students and medical experts in the Capitol Rotunda to discuss the opioid epidemic and how teens across the commonwealth can improve their health. 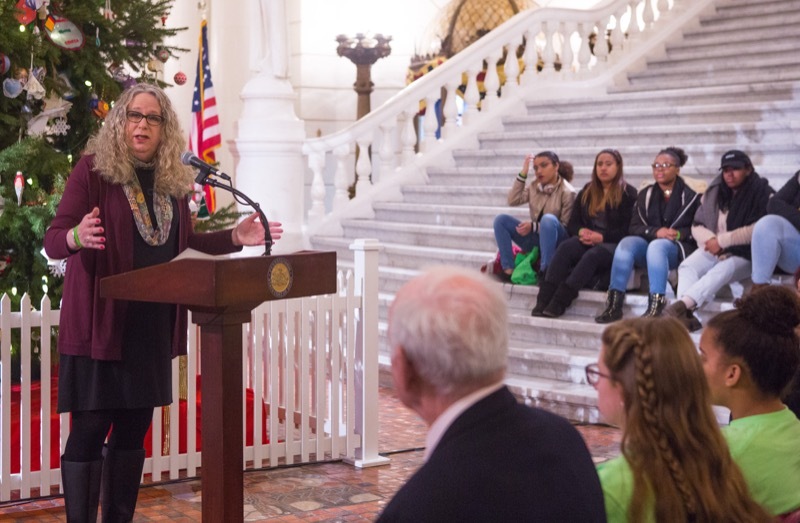 In recognition of Teen Health Week, Physician General Dr. Rachel Levine and Deputy Secretary for Health Promotion and Disease Prevention Dr. Loren Robinson today joined local students and medical experts in the Capitol Rotunda to discuss how teens across the commonwealth can improve their health. 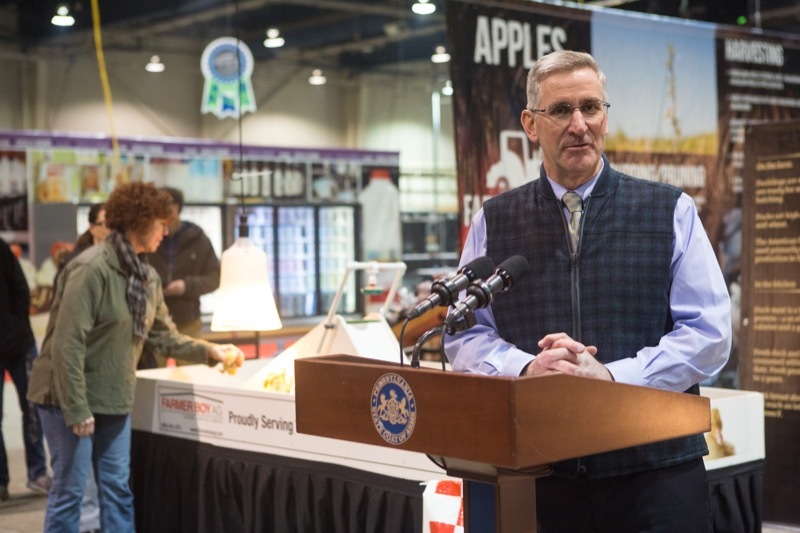 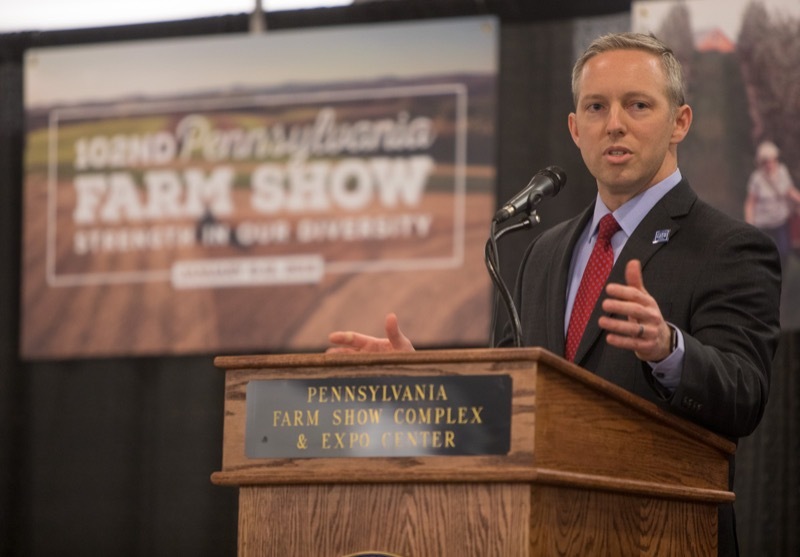 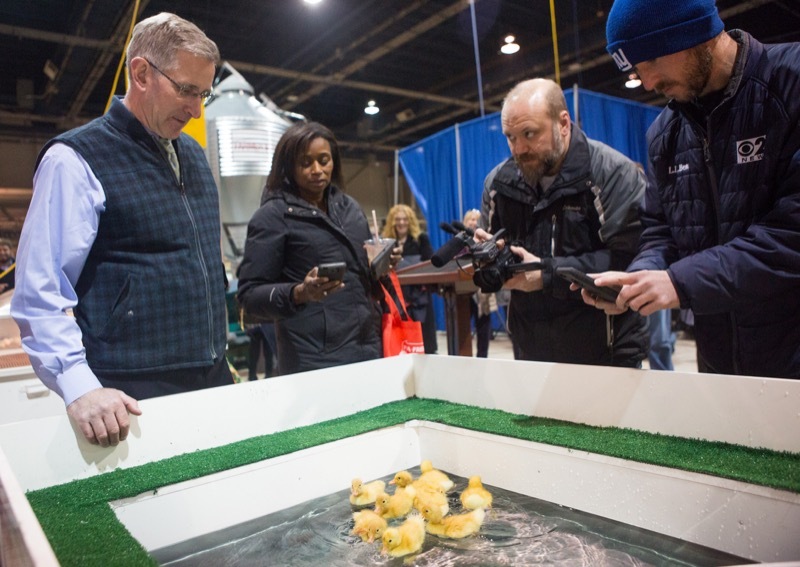 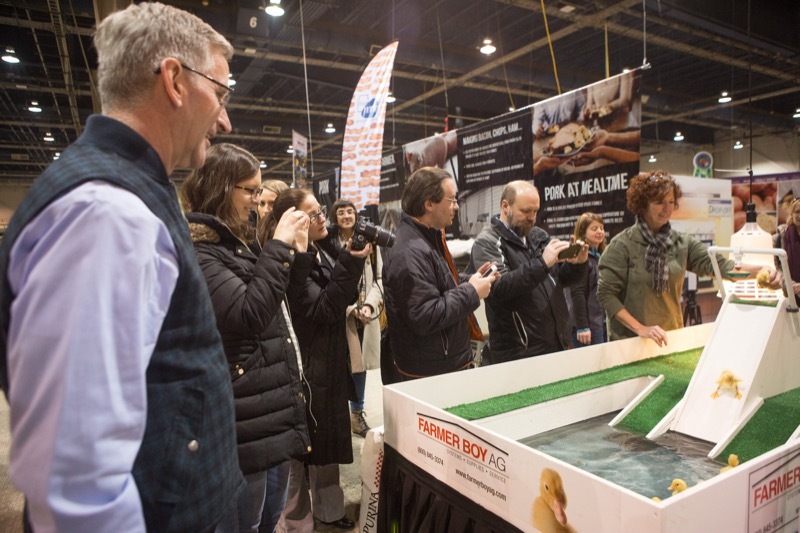 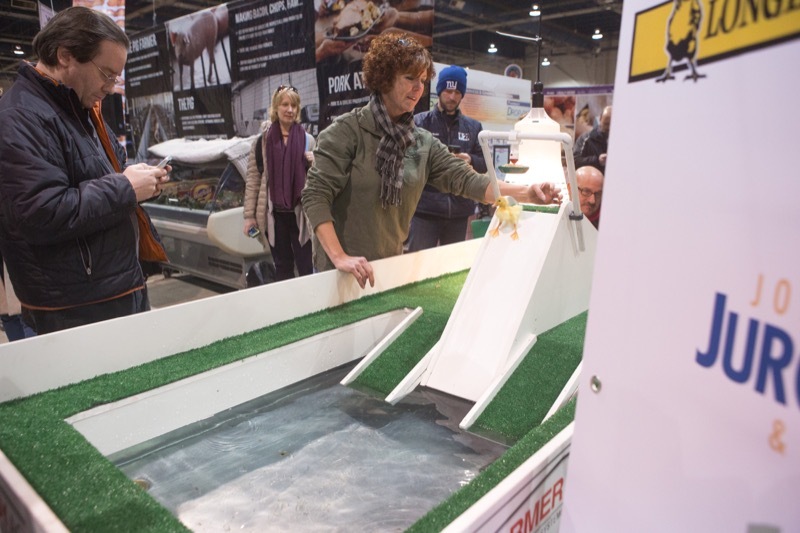 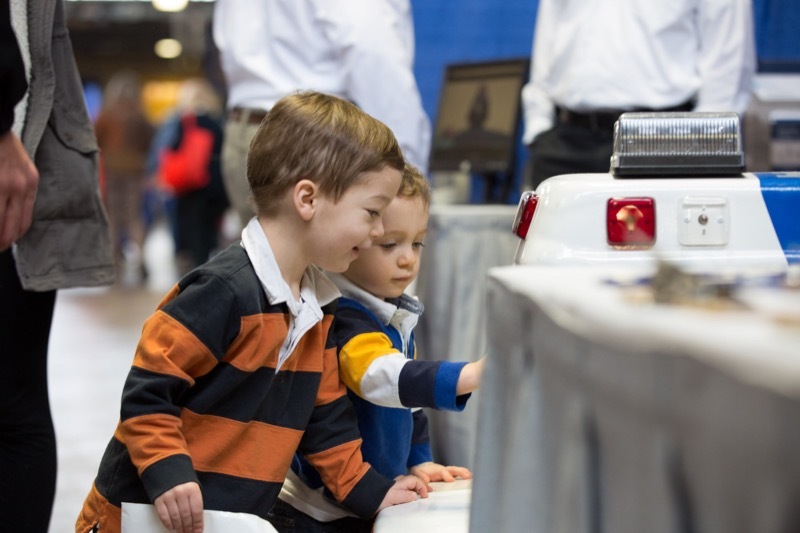 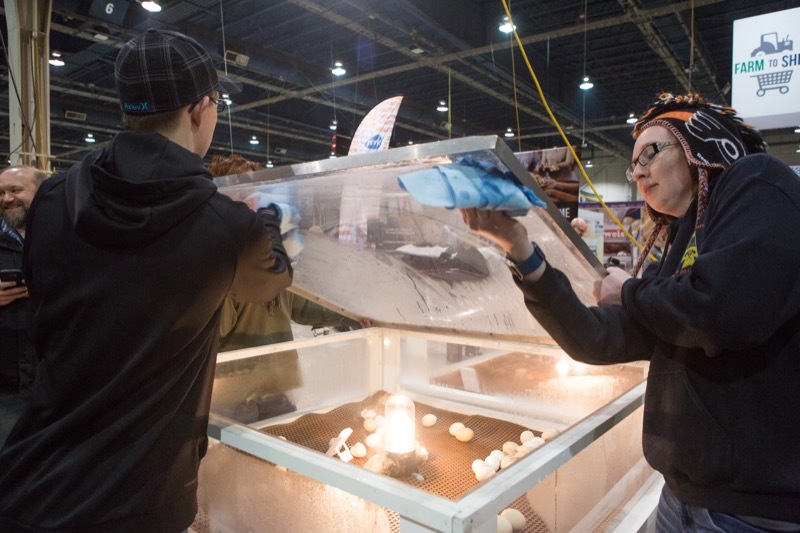 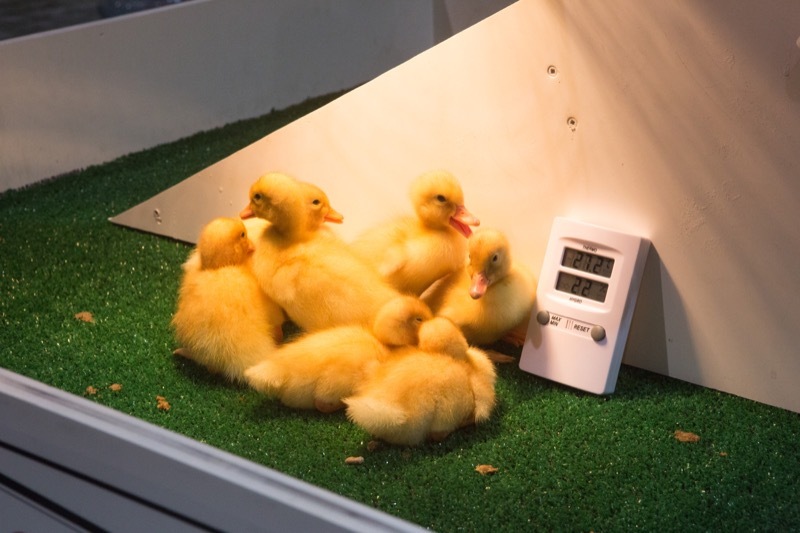 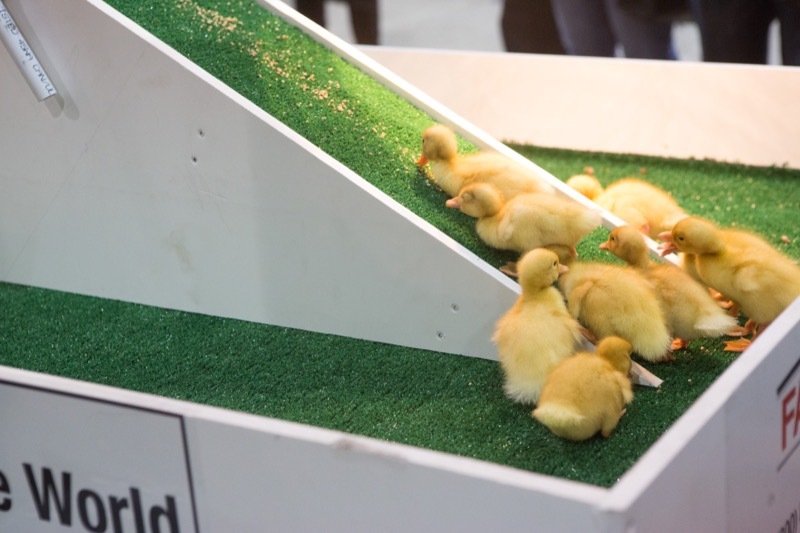 After 100 years, the tradition runs deep, but the venue was new and the focus on the future for today's opening of the 2017 Pennsylvania Farm Show in Harrisburg. 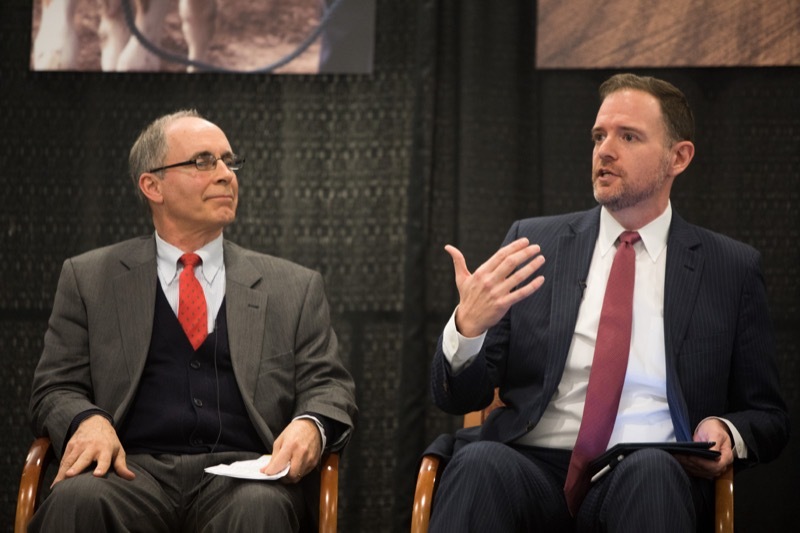 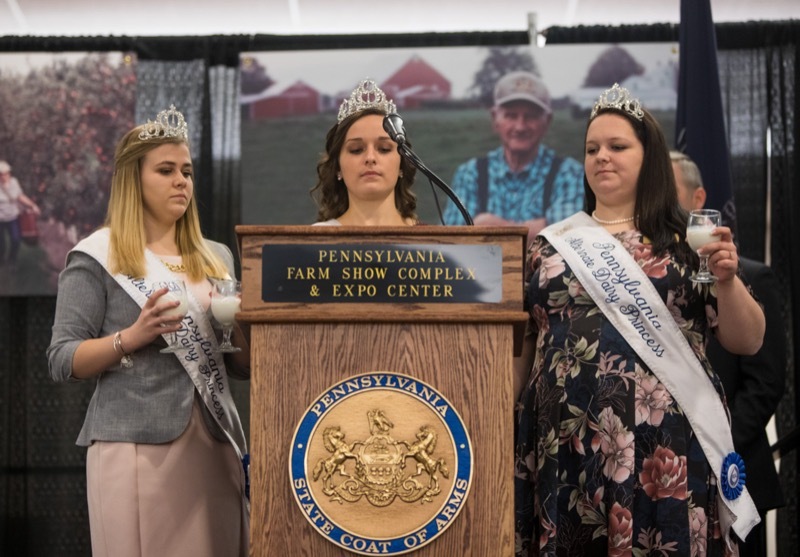 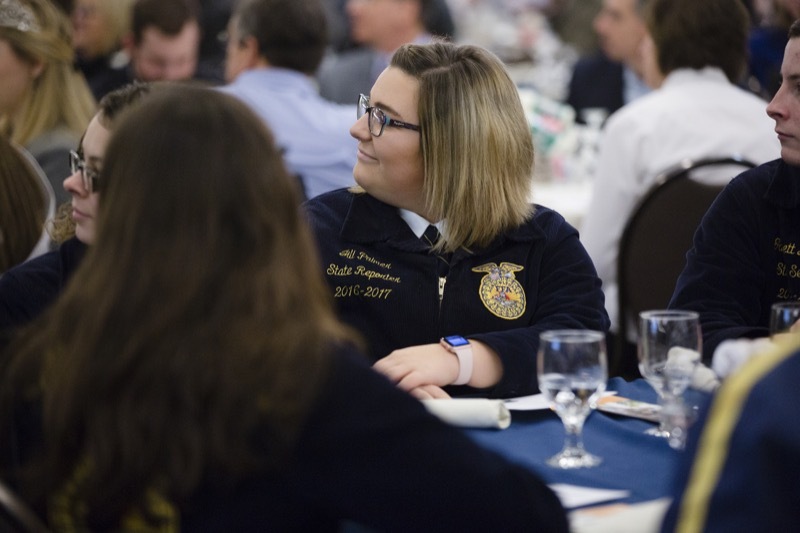 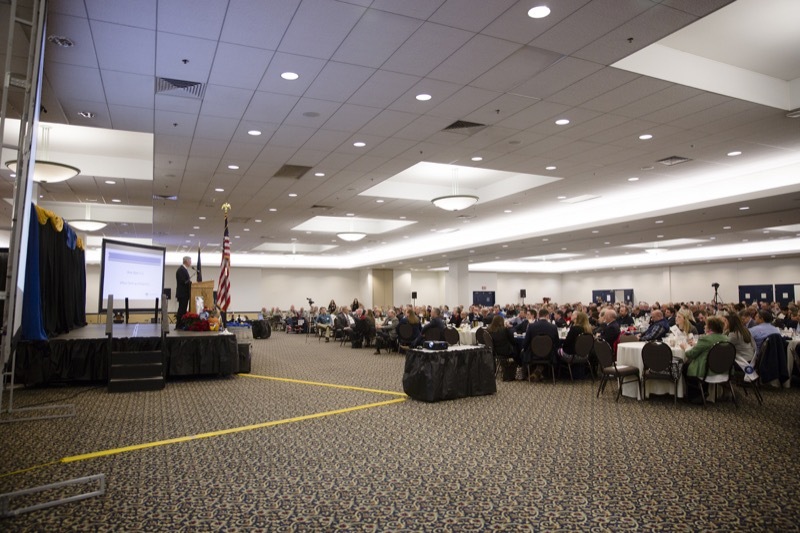 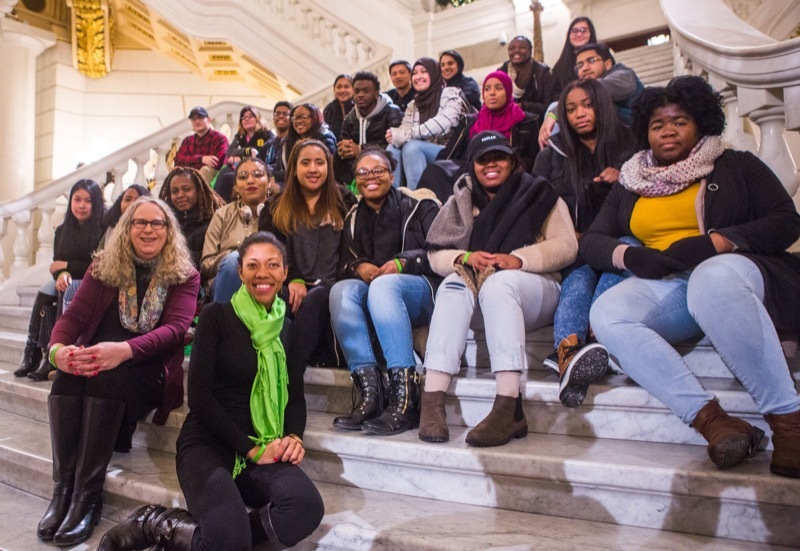 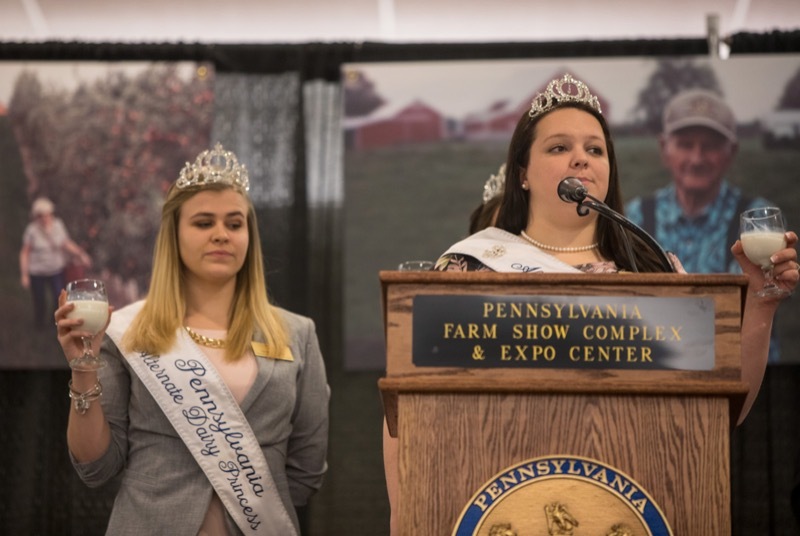 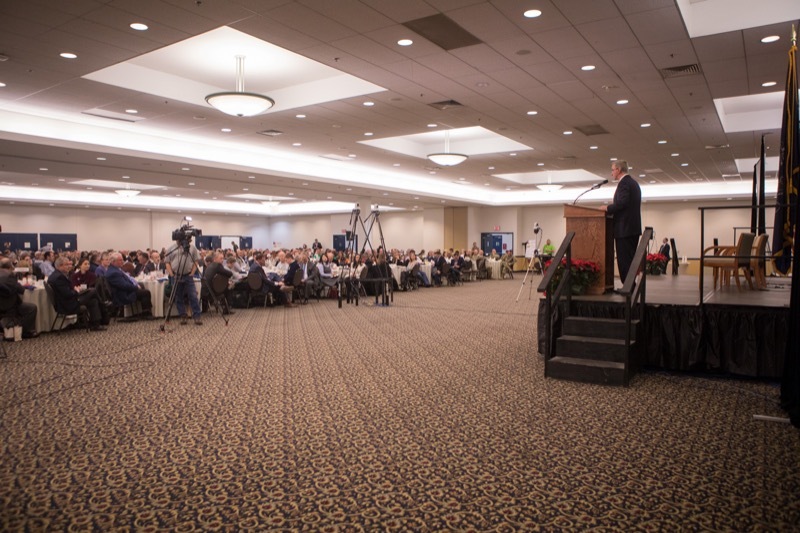 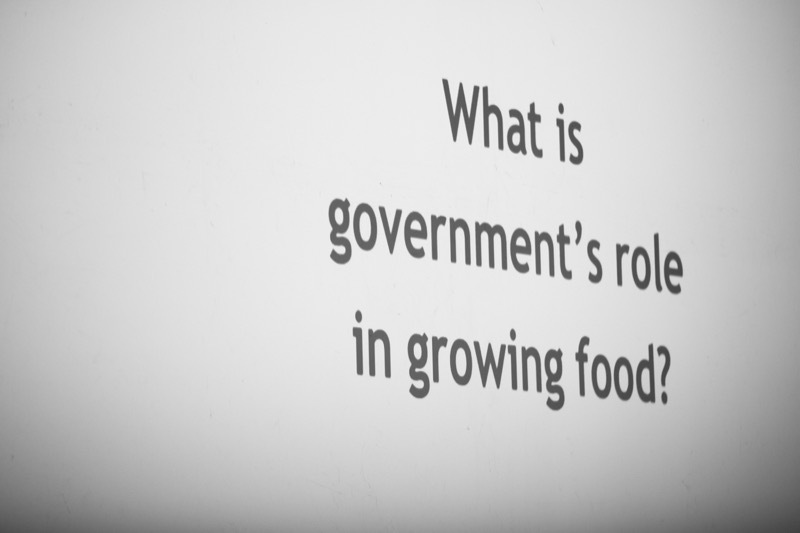 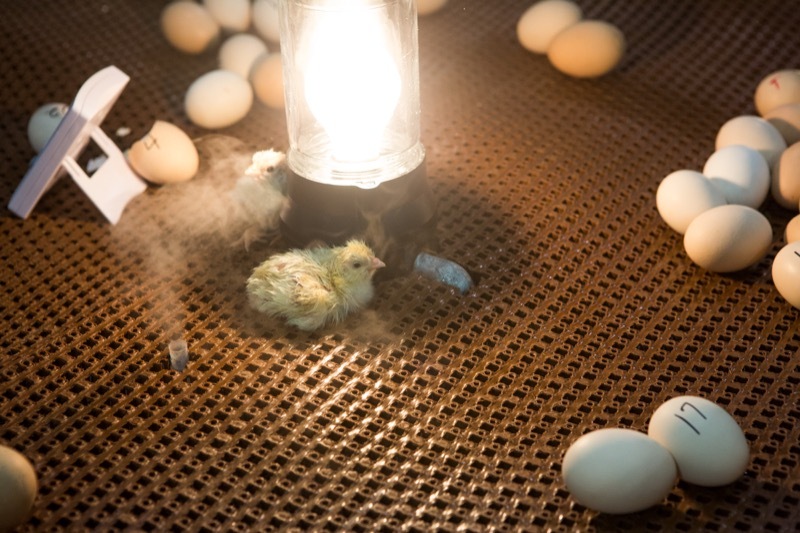 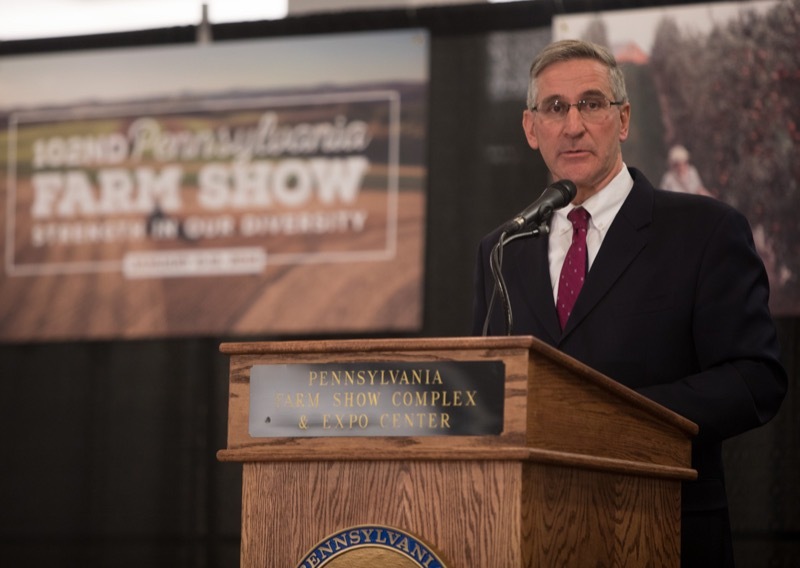 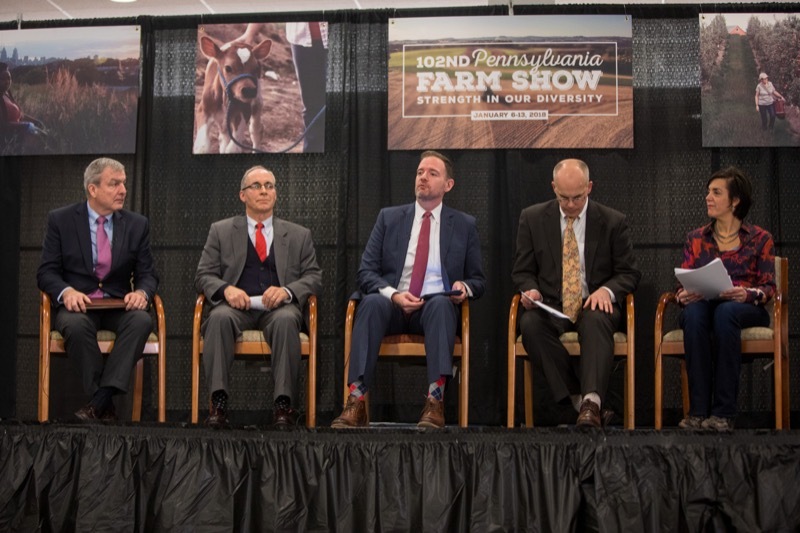 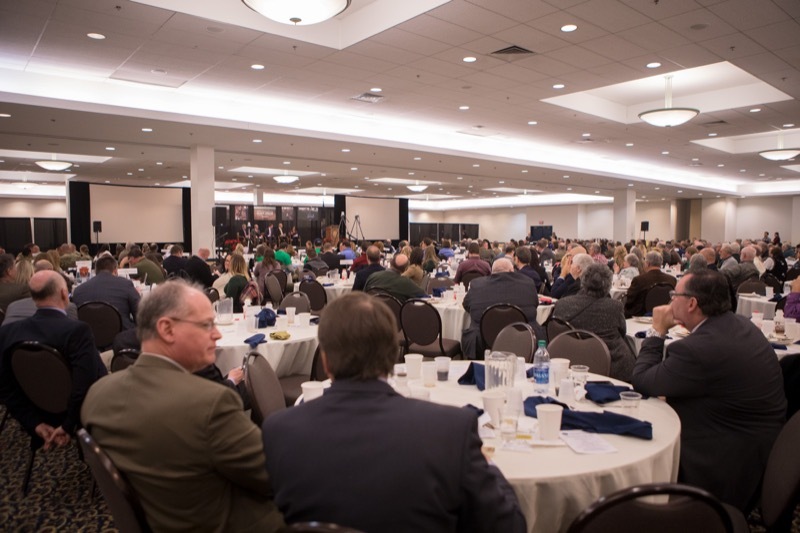 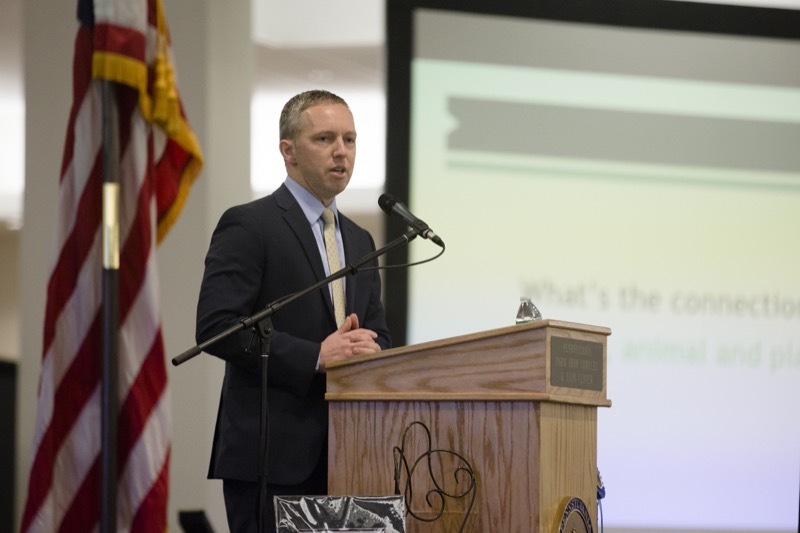 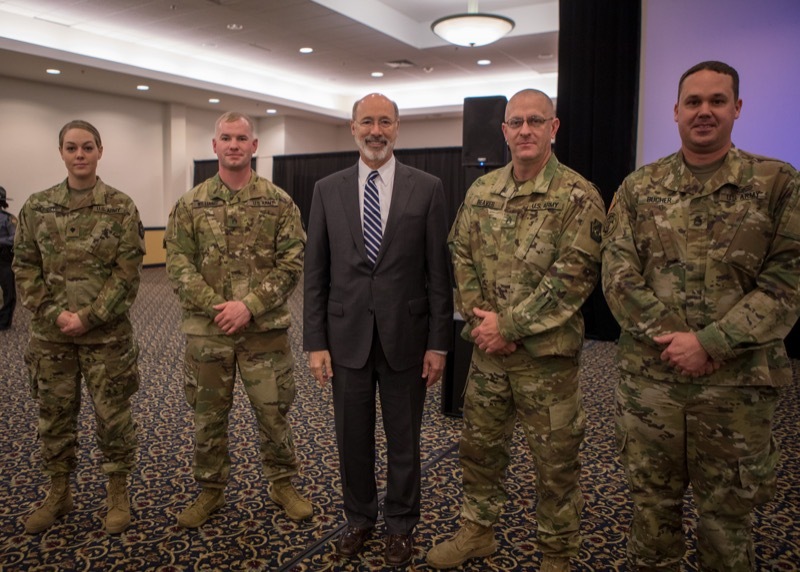 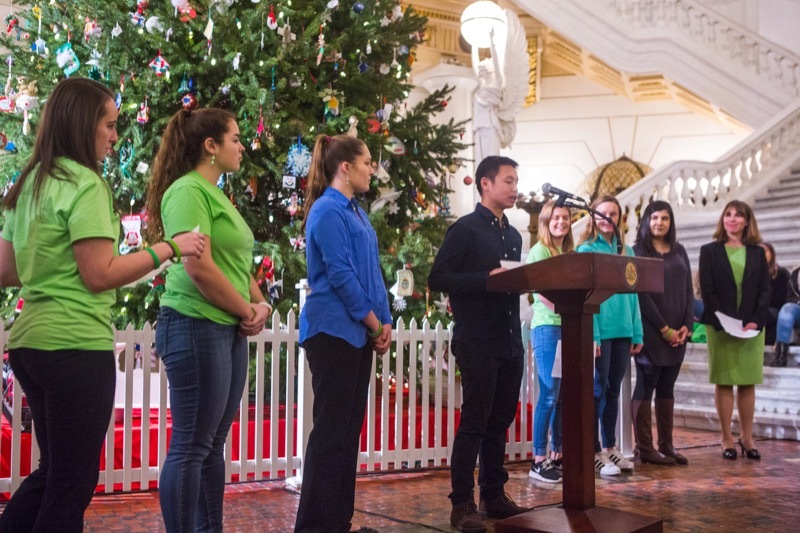 Future agriculture leaders and young people representing the state's major commodity products joined Governor Tom Wolf, Senator Bob Casey, Rep. Glenn 'GT' Thompson, and State Agriculture Secretary Russell Redding. 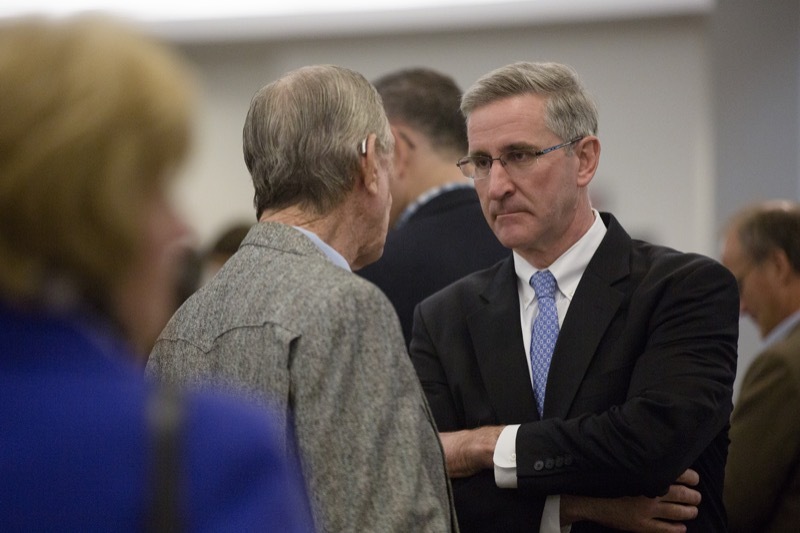 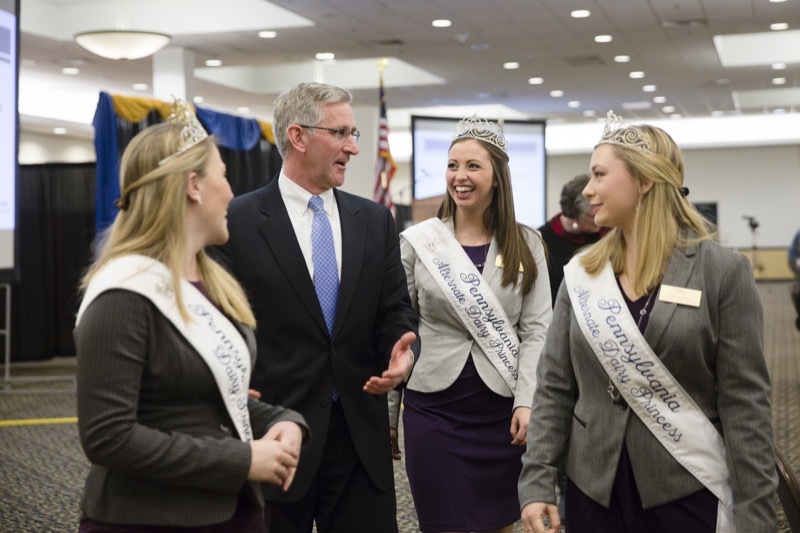 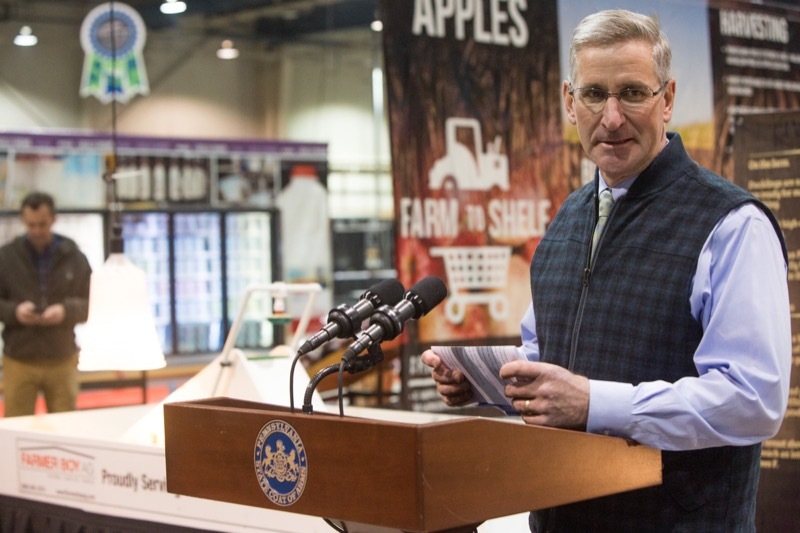 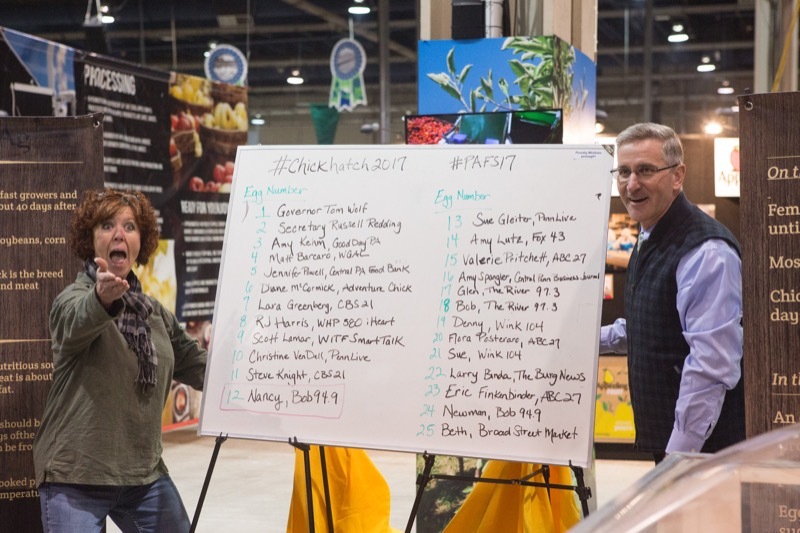 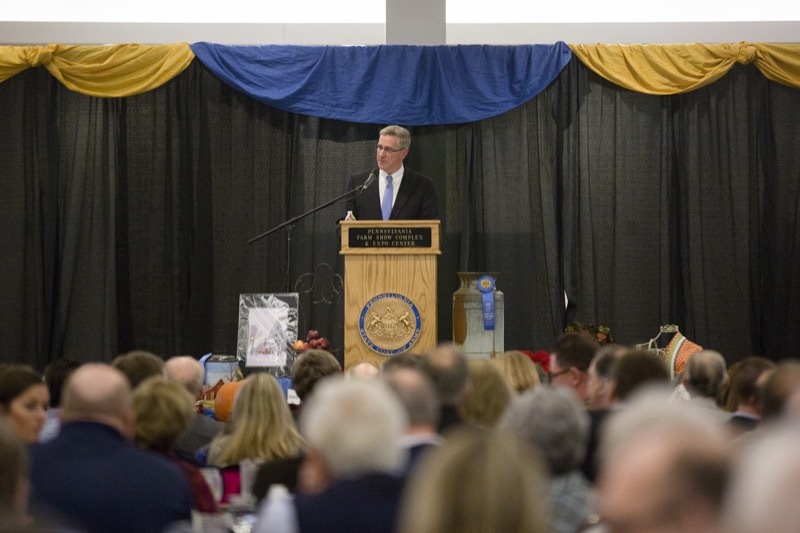 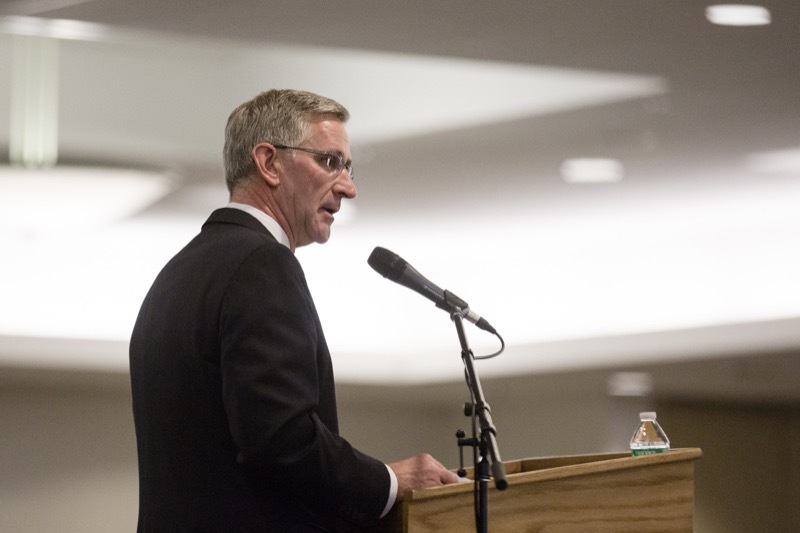 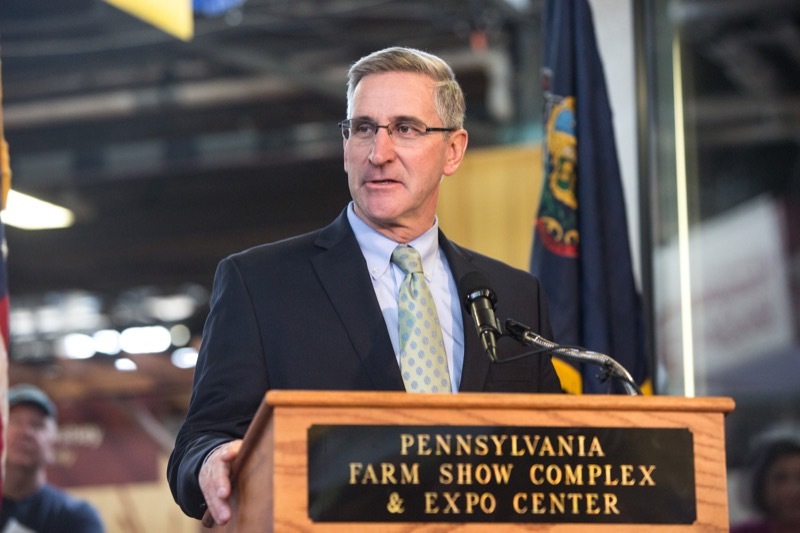 Agriculture Secretary Russell Redding joins groups at the Fill A Glass With Hope event at the Pennsylvania Farm Show. 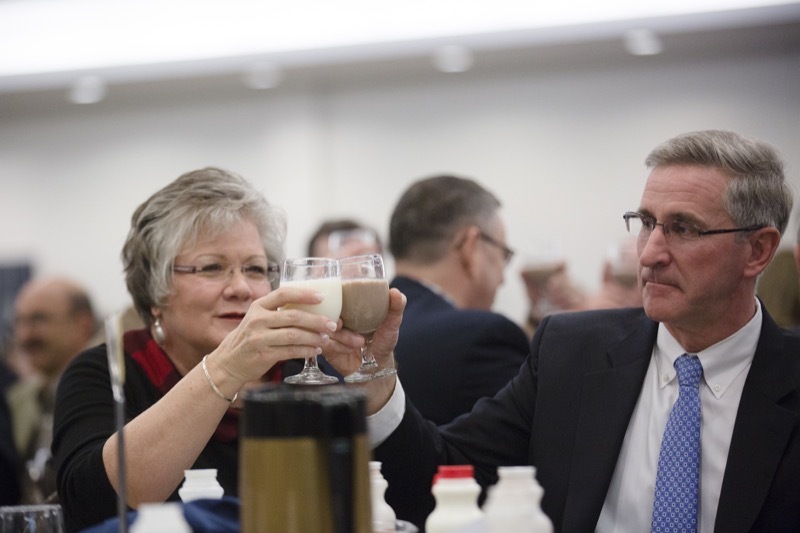 Fill a Glass With Hope is a partnership formed among Feeding Pennsylvania, the Pennsylvania Dairymen's Association, Mid-Atlantic Dairy, agriculture partners, and business leaders that provides fresh milk to Pennsylvania families in need through Feeding Pennsylvania's statewide network of food banks. 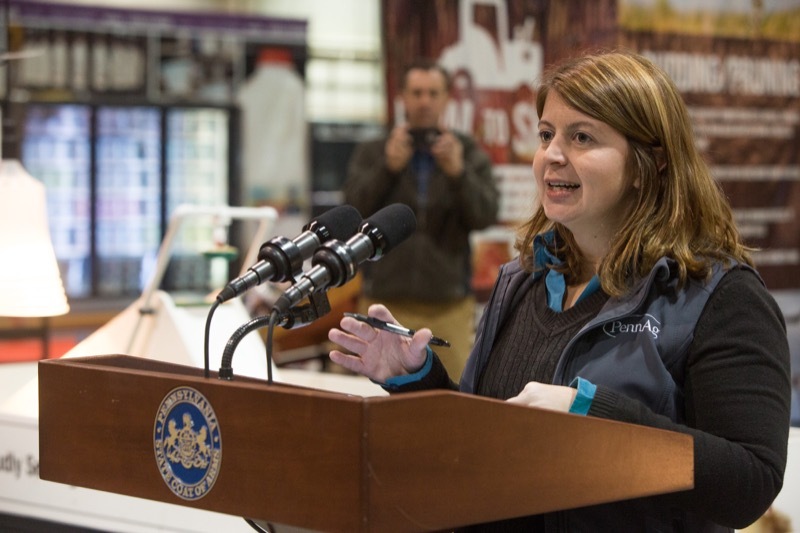 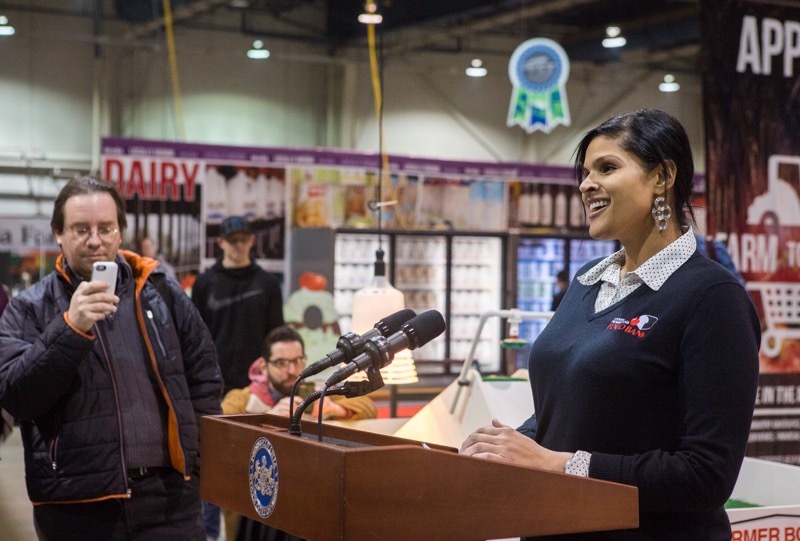 Initially launched in June 2014 as an initiative with the Central Pennsylvania Food Bank, an announcement was made at the 2016 Farm Show that this program - through Feeding Pennsylvania - was being expanded to become Pennsylvania's first statewide charitable fresh milk program. 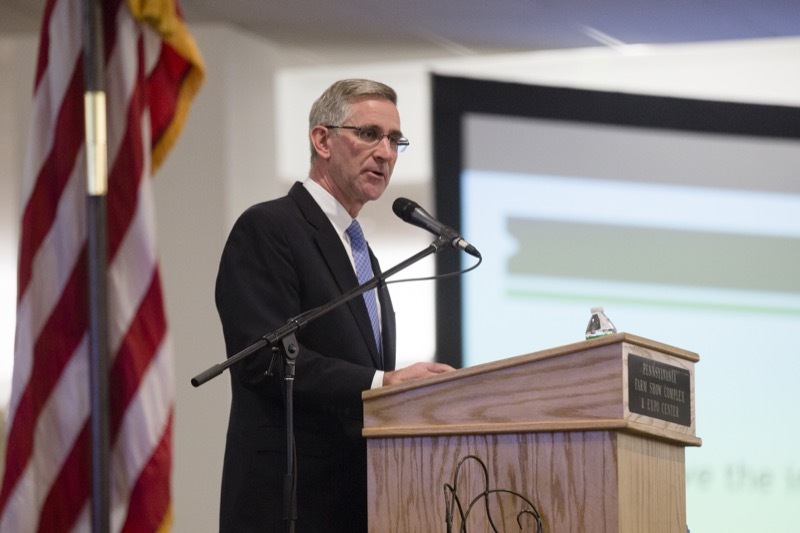 Department of Corrections Secretary John Wetzel met with union officials and the agency's leadership team to discuss the plan to close two prisons and reduce by half the community corrections population by June 30, 2017, as part of spending reductions in response to the state budget deficit. 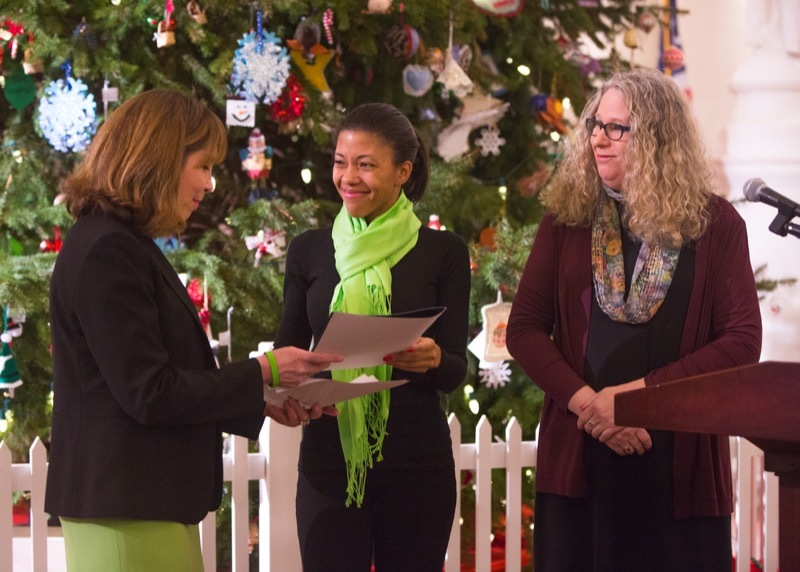 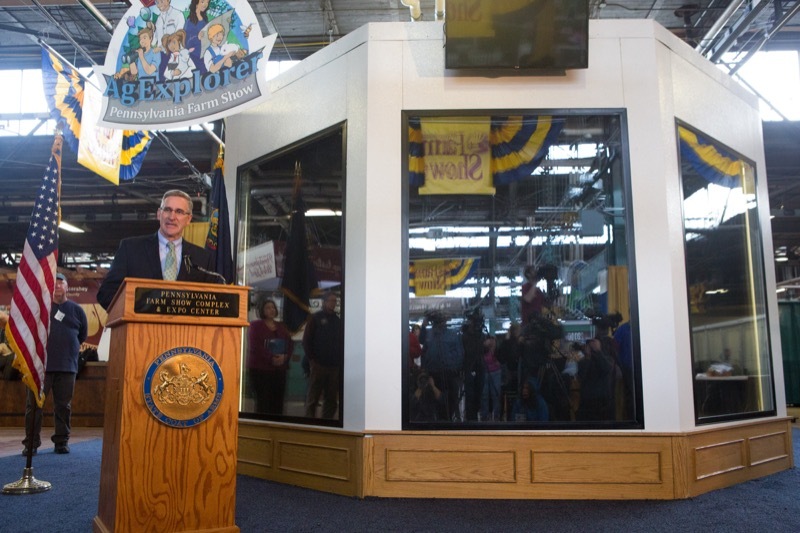 'Our Commonwealth's Blue Ribbon Experience' Kicks Off January 7. 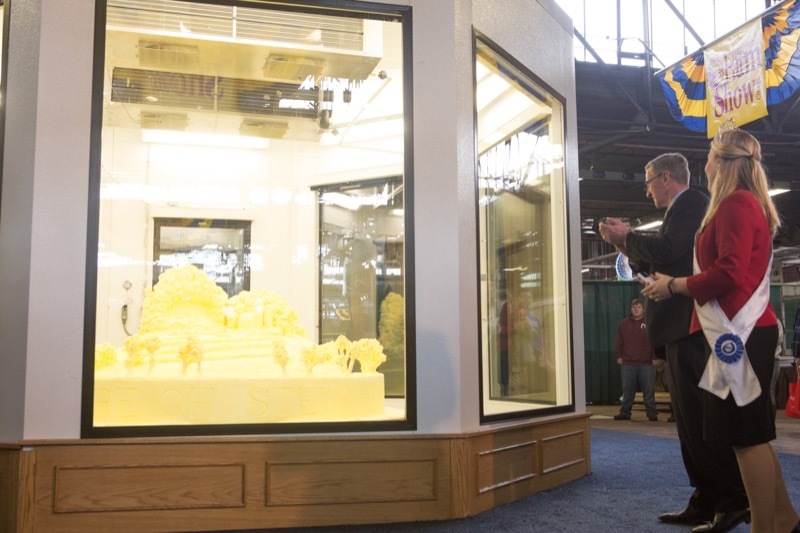 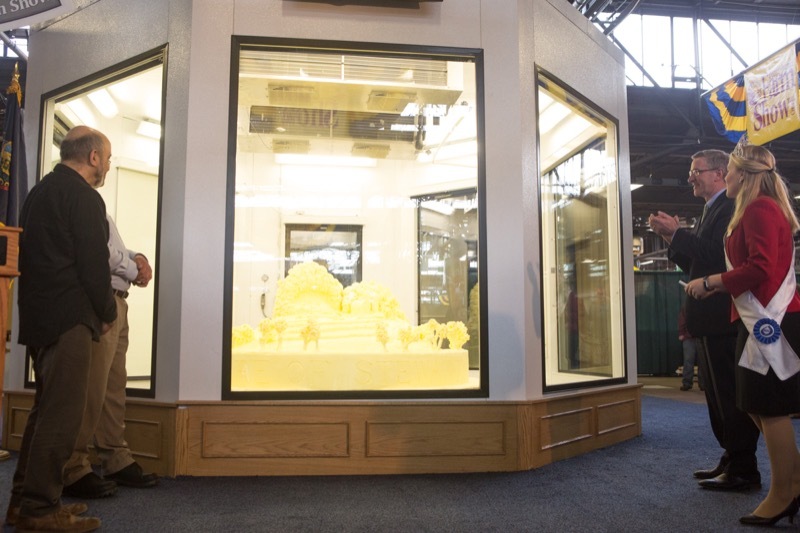 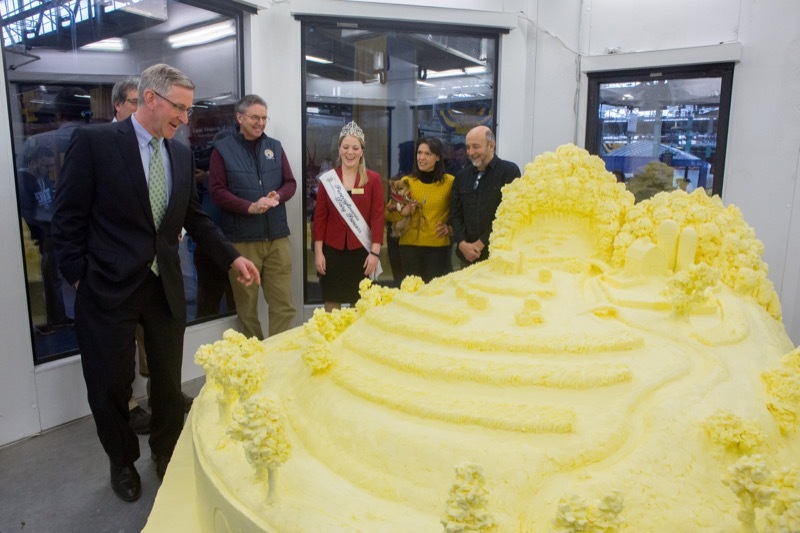 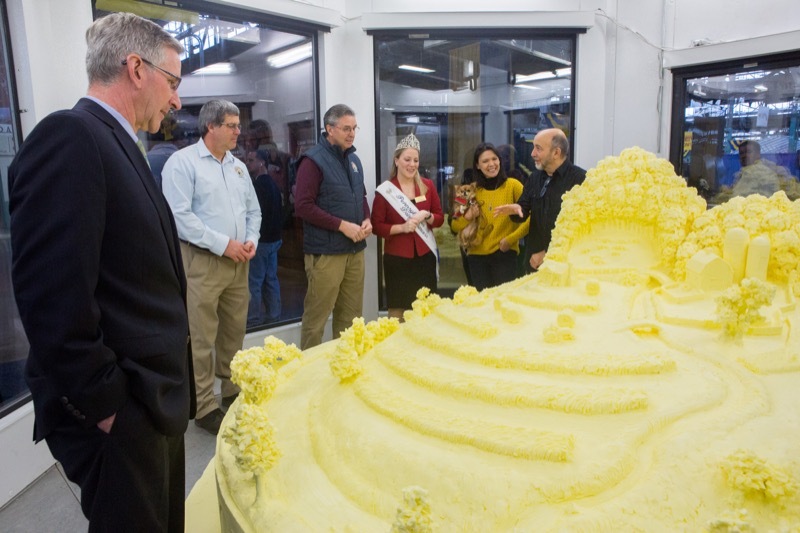 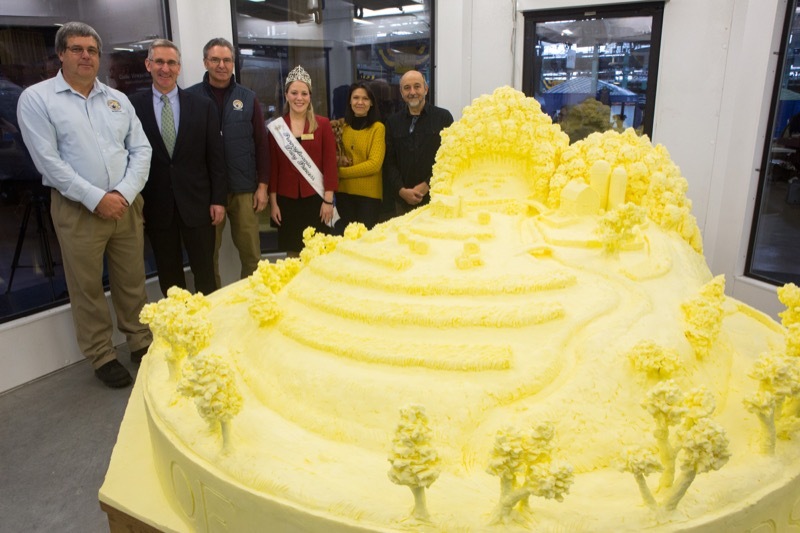 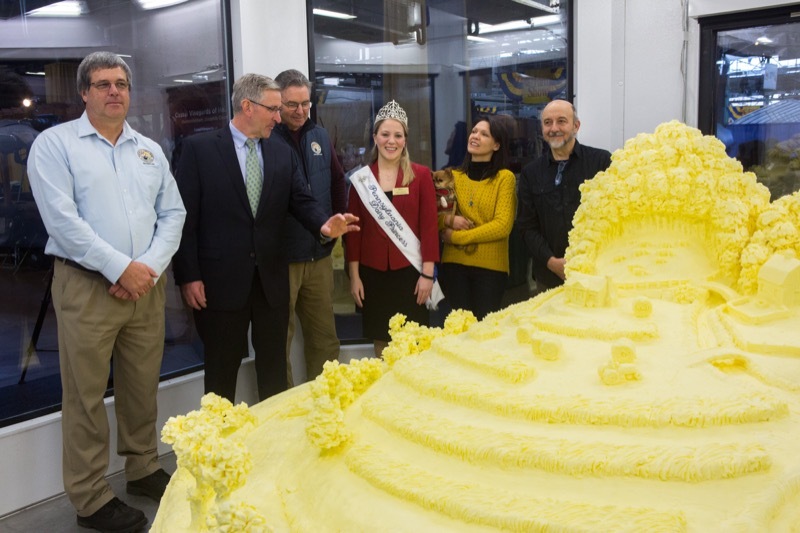 A sculpture paying tribute to the history of environmental stewardship by dairy farmers, and crafted from more than 1,000 pounds of butter, was unveiled today at the 101st Pennsylvania Farm Show in Harrisburg. 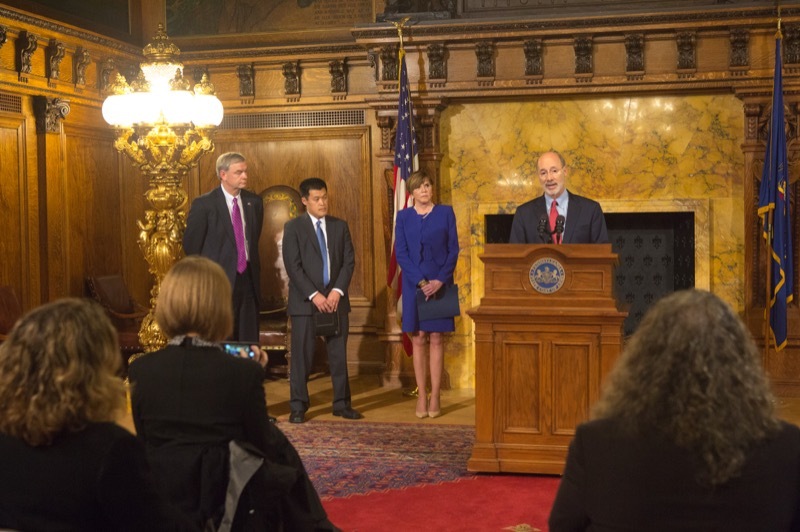 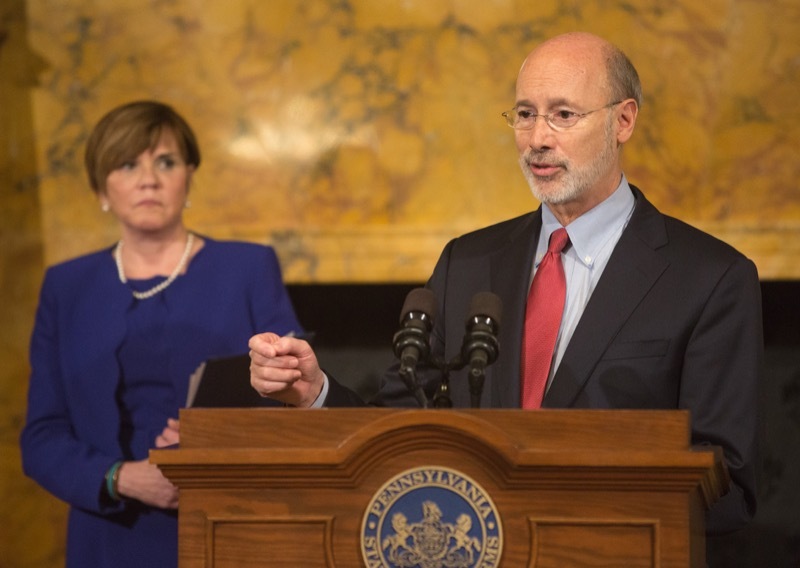 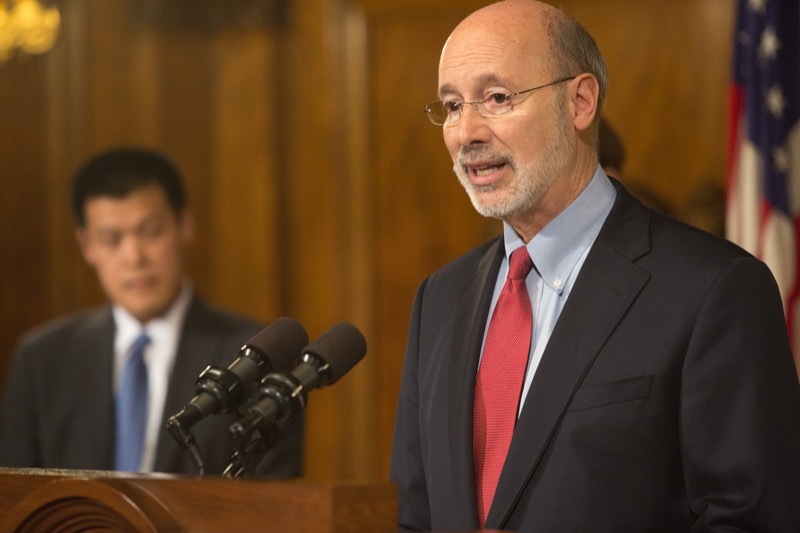 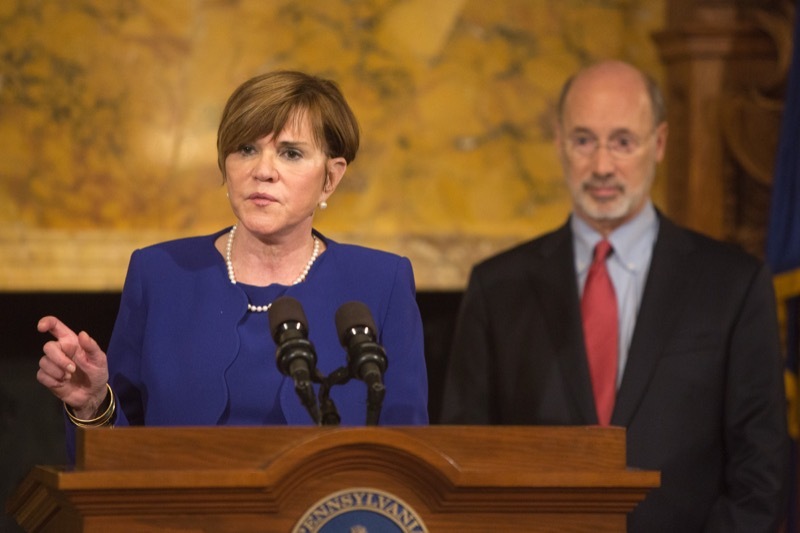 Harrisburg, PA - Governor Tom Wolf today announced the launch of 511PAConnect, a new initiative that will provide information updates to motorists in the event of a long-term road closure due to accidents on the Pennsylvania Turnpike or other state roadways. 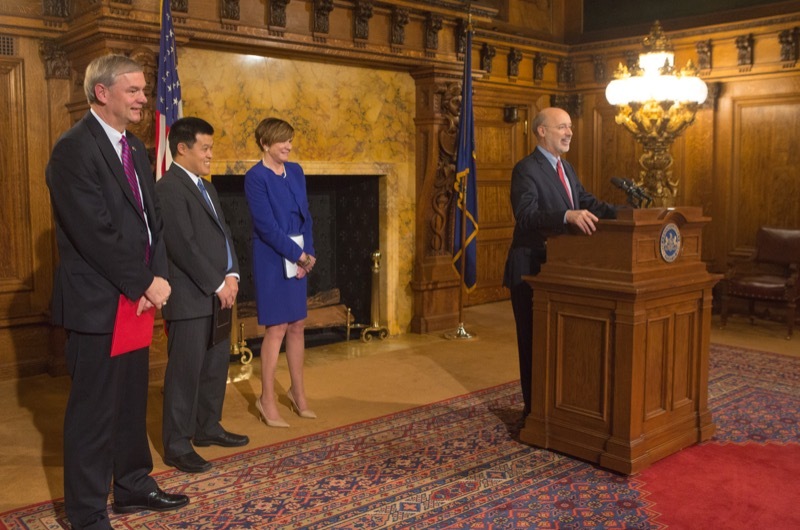 Following last year's significant trapped queue during Winter Storm Jonas, Wolf tasked state agencies to develop a tool to better keep drivers informed in similar situations in the future.